When Filipe Romano arrives at the SoliMar beach resort, his newest acquisition, he plans to complete renovations quickly before moving on to his next property. But a stumbling block arises when he discovers Celeste, the sister of his deceased best friend, is an employee at the resort’s aquarium, which he intends to sell. To complicate matters more, he has unresolved feelings for Celeste and blames himself for the accident that killed her brother. Celeste Ferreira, a stressed single mom, needs a miracle. Without any prospects or means to start over, she clings to the job she loves as aquarist at the SoliMar Aquarium. After she discovers the new owner is Filipe, an old family friend, their history makes it hard for Celeste to trust him, especially with her position in peril. Though closing down the aquarium makes good financial sense, Filipe finds himself reluctant to disappoint Celeste and decides to help her with the repairs for the upcoming inspection. But is working side by side enough to forget the past and build a new future, or is the pain between them too deep to move on? Ooh, I love when a new Romano Family book comes out! I love the Romano family! Each book is about a different family member-siblings or cousins in a great big family. The settings and characters may vary but that familiar family tug is present in each book. Filipe and Celeste run into each other again after many, many years of separation. It's a random encounter but leaves them both feeling a bit shaken. There are many unresolved questions between them but it's a second chance at first love! One of my favorite kind of stories. I loved the beachfront setting and the addition of Celeste's young son, who brought a sweetness to everything. Lucinda Whitney has such a gentle way of writing. Her stories flow so easily for me as a reader. They are easy to settle in with and they just make me feel good. It's a bit like coming home. I love that. 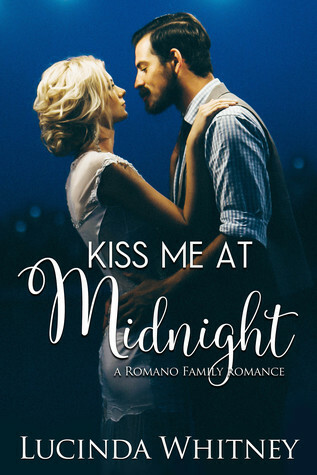 The Romano Family series follows the stories of the Romano cousins of northern Portugal as they find love and their Happily-Ever-Afters. Author Donna Hatch, $25 Giveaway and $.99 Book! $50 Christmas Cash Giveaway and $.99 Flash Sale!